With so many devices in our possession now, it can be a huge hassle trying to charge them all at once. A lot of devices can now be charged with just a simple USB cable, but that cable needs to be plugged into a power source such as a charging block/wall outlet, a computer or laptop with powered USB ports, or a charging dock. It’s simple finding a place to charge 1 device but once you get into multiple devices, trying to find a place to charge them all at once can be a huge hassle. That’s where the Just Mobile AluCharge comes into play. 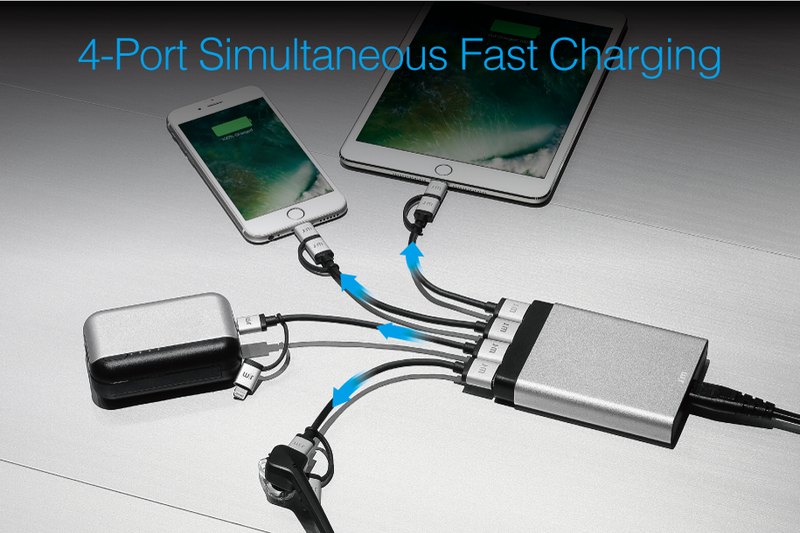 The AluCharge is a 4-port USB charger that will charge multiple devices simultaneously with one power supply. 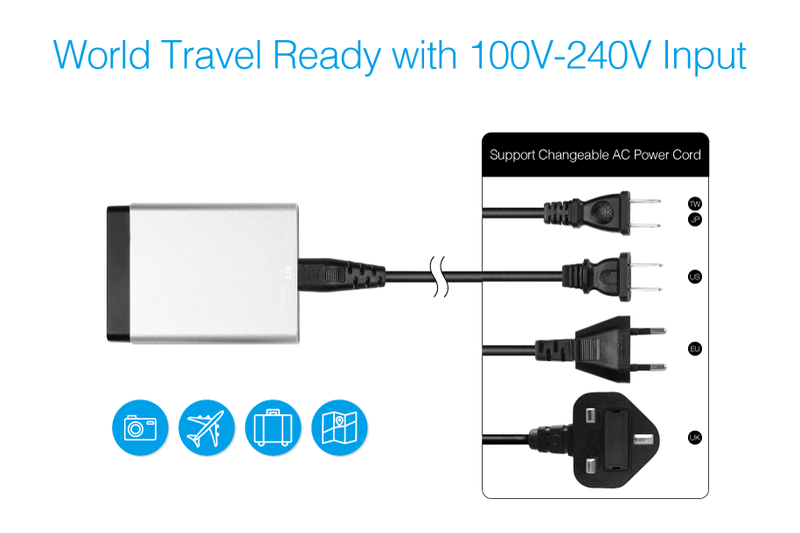 The Just Mobile AluCharge is an “intelligent charging” solution, meaning it will deliver exactly the right amount of power to your devices, whether it be an iOS device, an Android device, or any other device you might have. There really isn’t too much cover here other than the fact that the AluCharge works. I’ve used it to charge my iPhone, my iPad, my many Android devices, back up battery packs, smartwatches, my PS Vita, and even used it to charge my PlayStation 4 controllers. It charged everything I threw at it without missing a beat. Because the AluCharge is meant to be a desktop charging solution, it really helped organize my space. I no longer had to use multiple wall charges to charge all my devices and I could more easily plug and unplug cables as needed. In terms of looks, the AluCharge is pretty good looking with a very minimalistic design. 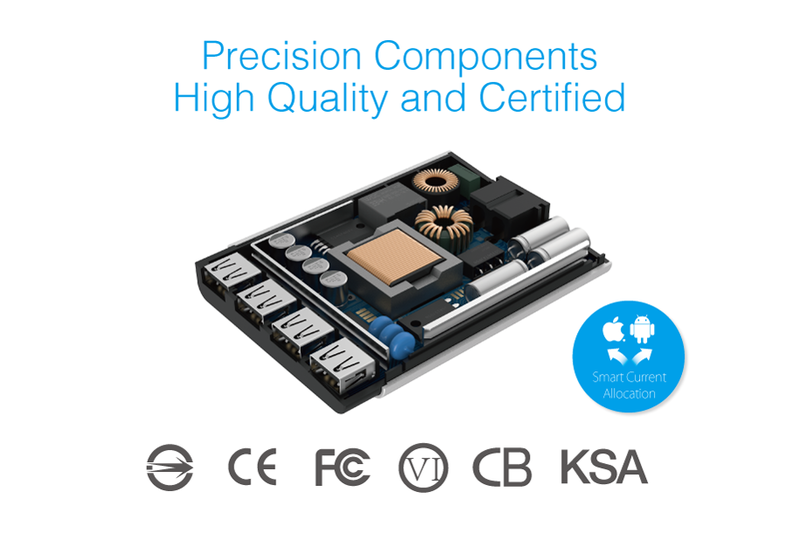 The main body is covered with a unibody aluminum casing and will match most modern devices that also use aluminum. There’s just one cable you need to plug into the back of it and that goes to your wall outlet or power strip. 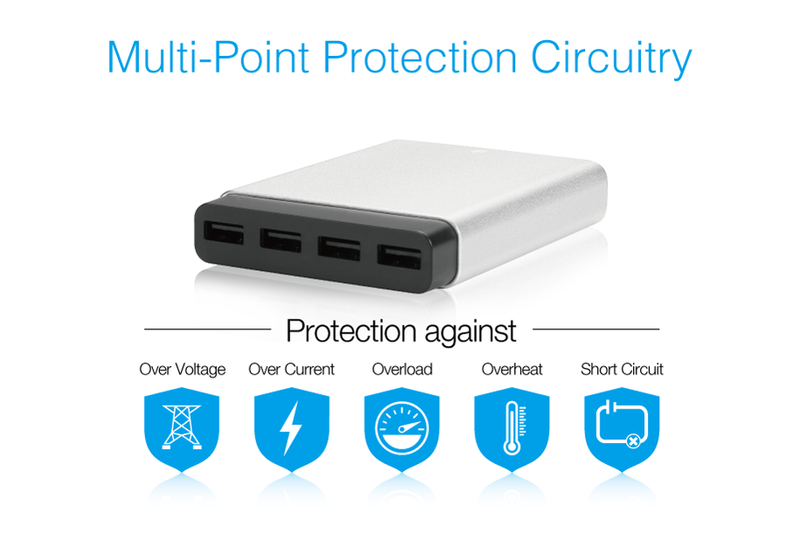 The front 4 USB ports which will allow you to charge 4 devices simultaneously. That’s it. It’s a simple devices that looks good and works as advertised. I love to bring you guys the latest and greatest reviews whether it be apps or gadgets, but hosting and maintaining a website doesn’t come cheap. If you would like to purchase any of the items mentioned on the site, please do so by clicking our links to Amazon first and then purchasing the items. This way, we get a small portion of the sale and this helps me run the website. Thanks! This review is made possible with my affiliation with G Style Magazine. These items were sent to us by the company or their PR reps for review and evaluation. It is also featured at the G Style Magazine website which is a tech blog that focuses on the fashion aspect of tech. Please visit their site for more interesting reviews on all your favorite gadgets and gear.